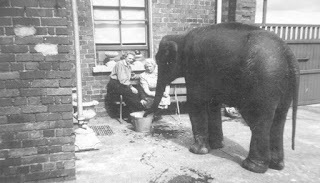 In recent years, the story of the Belfast Zoo elephant which walked down from Cavehill each evening along the streets to the nearby home of a keeper for protection during the Belfast Blitz has become reasonably well known. During its 75th anniversary year, the zoo was able to trace the woman from an old black and white photograph which showed an elephant in a Belfast back yard. And so the story of 'elephant angel' Denise Weston Austin was uncovered and brought to newspaper and TV audiences. 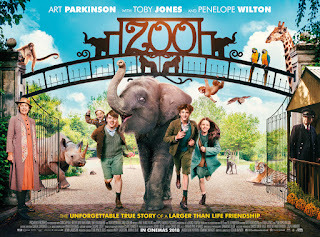 Colin McIvor has taken this true story and thoroughly adapted it in the screenplay for his new film Zoo. The opening credits explain that it was "inspired by true events" and audiences are soon introduced to the fictitious Tom Hall, the son of a zookeeper who is distraught that the dangerous animals are being shot in case they escape during German bombing raids over Belfast. His father has been called up to serve overseas, and together with a small group of other children, he concocts a plan to sneak Buster the baby elephant out of the zoological gardens. In a story that is as much about rescuing a girl from her drunk father, a bully from his controlling friends and a woman from her grief as it is about rescuing an elephant, there are a lot of characters to introduce and set up in the first third of the film. It's a slow burn that finally gels in the last 30 or 40 minutes when the characters and story settle into their final stride. But from there on until the end, it's a rewarding watch and tears will be shed. 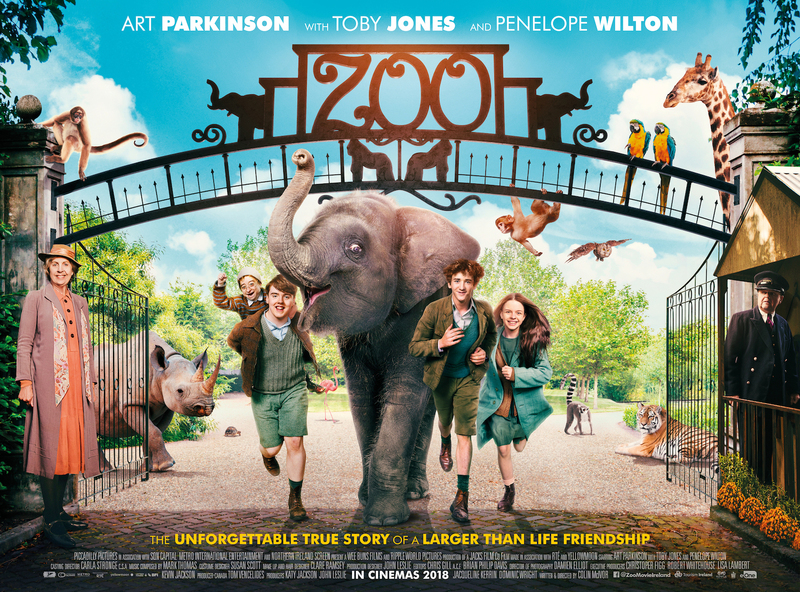 Toby Jones provides comedy in his role as Charlie, an officious security guard who lives in the gate house and controls access to the zoo. Ian McElhinney's zoo manager is a heartless character who acts with his head rather than his heart. Mrs Austin is played by Penelope Wilton as an eccentric woman whose house is a veritable menagerie stuffed full of birds, reptiles and furry mammals. Early on, she is a figure of ridicule, but her backstory and warm heart come to the fore as the film progresses. Young Tom Hall (Art Parkinson) has the passion to save Buster from being shot, but needs help to pull off his scheme. The characterisation oddly seems to shift back and forth from over-confidence to nervousness around people. It takes the cunning of ingénue Jane (a début performance by Lisburn-born Emily Flain) and the strength of reforming bully Pete (Ian O'Reilly) and his kid brother 'wee' Mickey (James Stockdale) to make the half-assed plan to sneak an elephant out of the zoo during the nightly curfew into an achievable heist. There's a lot of atmosphere and sepia scenes as children practice wearing their gas masks and air raid sirens wail in the middle of the night and people rush to the community shelters. The terror of the Blitz is often balanced by moments of humour, though McIvor doesn't shy away from the deadly reality of the bombing raids and creates some moving scenes that take the story beyond one simply about an elephant.